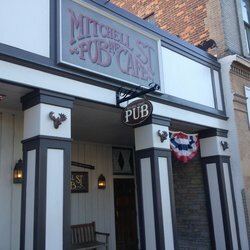 Mitchell Street Pub and Cafe is a Petoskey restaurant. Classic pub with fresh peanuts, fantastic nachos, Maurice salad, patty melts. Facebook here. Tap list here. Menu here. Open daily 11:30 a.m. to 2 a.m.